Now that early in the morning all roads lead to school, time doesn't assure you that you'll be able to have a good breakfast. Considering this, it's a good thing to treat yourself a nice sandwich on your way. 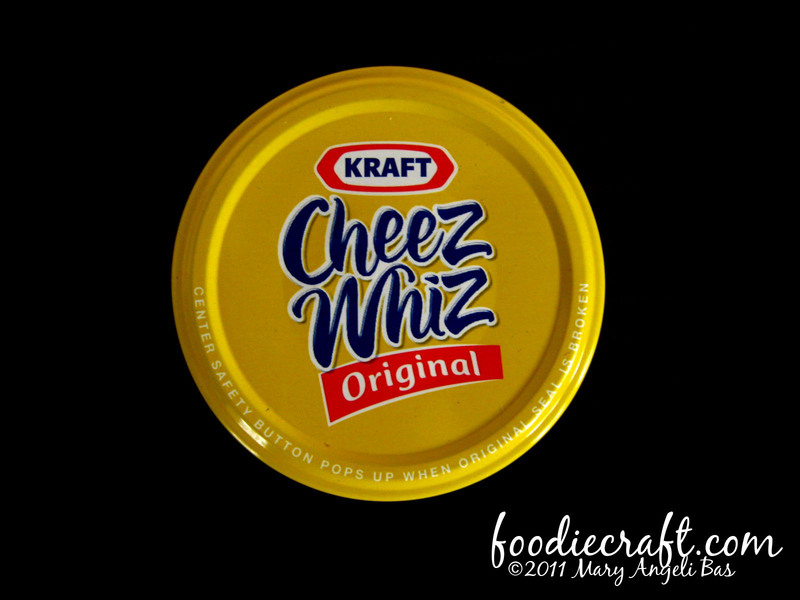 Kraft's Cheez Whiz can be a good filling of your morning snack. It has nutients that will invigorate you. 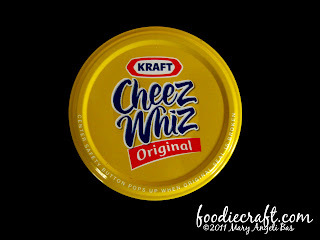 You can spread it on food you wish to have a cheesy taste. You can enjoy it with your favorite biscuit, crackers, cookies and others. 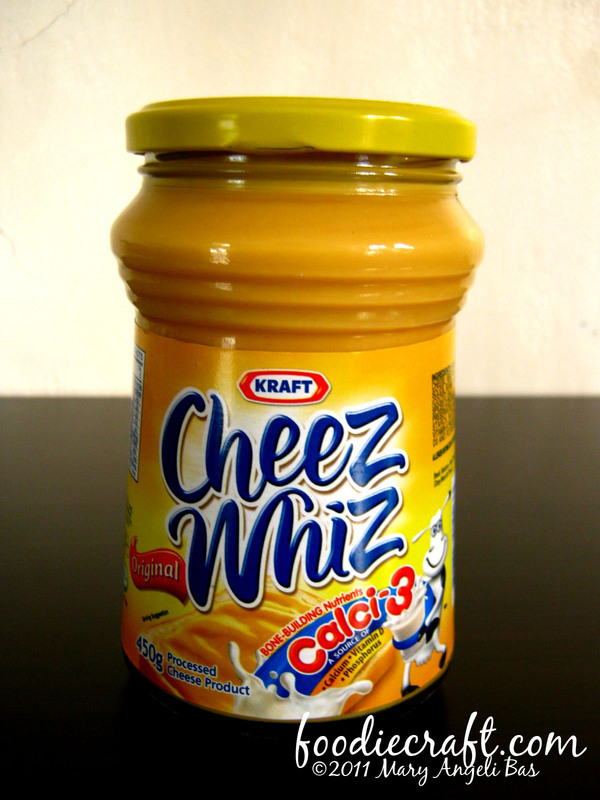 Cheez Whiz comes in different flavors and packages. Here is Cheez Whiz Original in 450g jar. 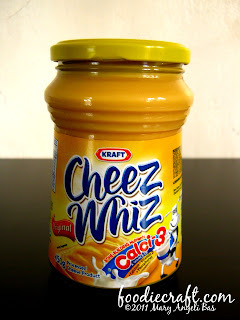 This costs Php220.00. 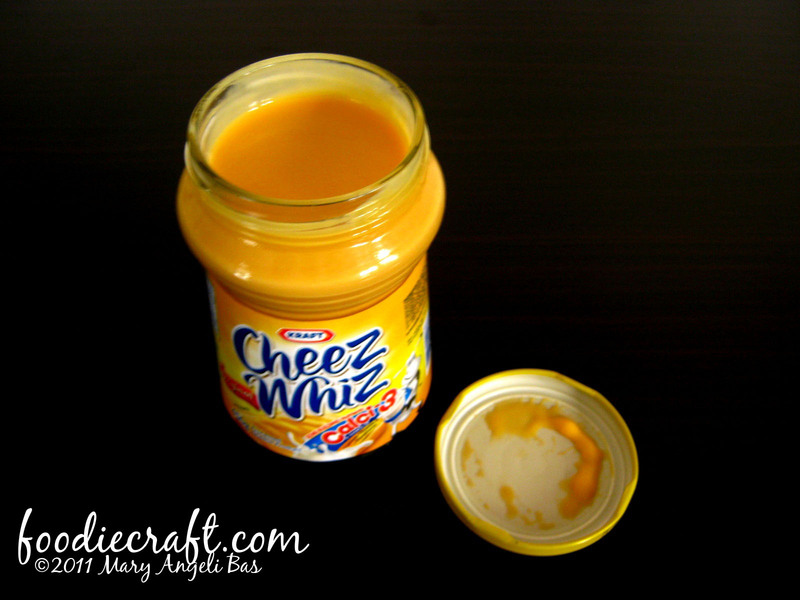 The first time you open the jar, you can smell the cheesy aroma of the spread. 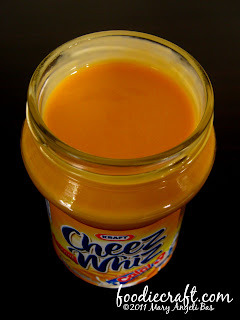 It is so orange-making it look so appealing. The spread is very creamy. It tastes so sweet and delicious. It is best to store it in the fridge. When you want to enjoy it, let it out of the fridge 2 minutes before you do- this will melt the spread but retain its cold temperature. like! we buy the one w/ pimiento.